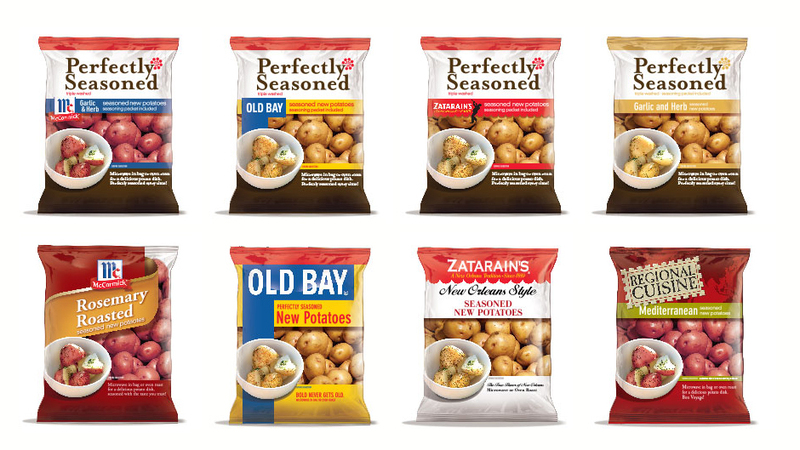 Taking the ordinary spud to a new flavor dimension. A concept for a line of bagged new potatoes that are washed and ready to cook and include a sachet of seasonings to create regional dishes. The key benefit being it can make the perfect dish every time through the combination of fresh new potatoes and a perfectly portioned blend of herbs and spices. No worries about either adding too much or not enough of that spice or if you have it in your spice rack at home. The seasoning packet is ultra convenient and creates a delicious dish every time.